Today is the fifth and final day of the XVth International Workshop on Modelling of Mantle and Lithosphere Dynamics, or “Nethermod”, here in Putten, The Netherlands. Despite the overcast conditions outside, the lively scientific program included keynotes by Paul Tackley and Carolina Lithgow-Bertelloni in the morning and Clint Conrad and Louise Kellogg in the afternoon. 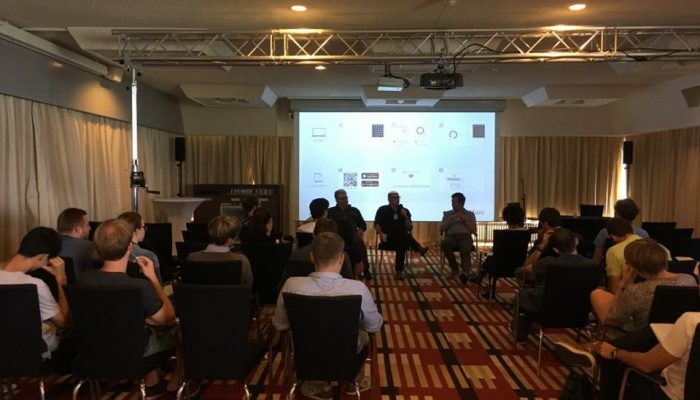 With over 120 attendees, and a program built around selected keynote presentations with plenty of time for posters and discussions, Nethermod offers a unique meeting format. 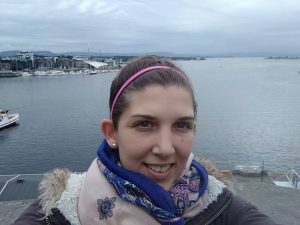 Today’s post includes interviews with three attendees at different stages of their career – student, mid career and more established – and asks about their experiences of the workshop and their perspective on the future of geodynamics. Kiran Chotalia (University College London). 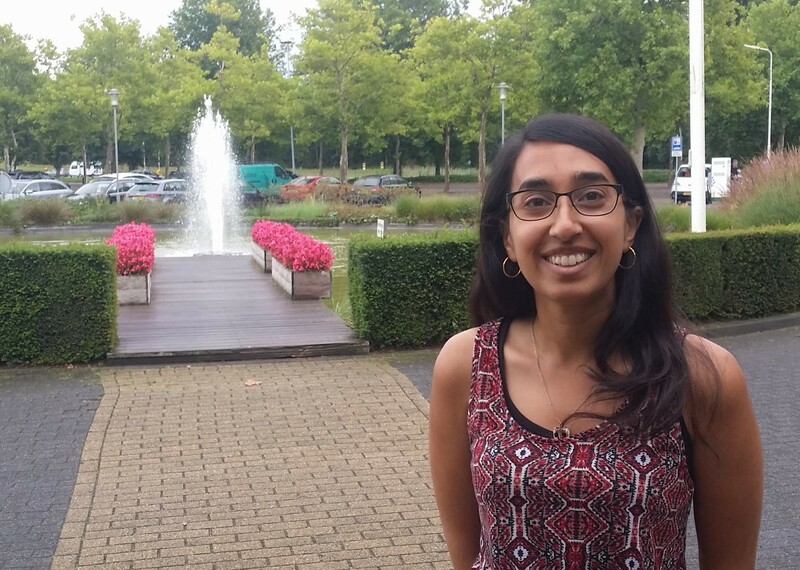 Kiran is entering the third year of her PhD, and is a first-time attendee to the workshop. – What is your PhD project about and what did you present here? My project looks into the effects of water on mantle circulation, firstly using parameterized models and then 2-D models. I had a poster on day 2 which presented some parameterized models that included a time-lag to simulated delayed mixing. 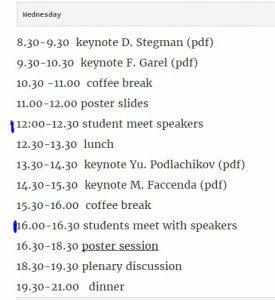 – The conference is aimed at leaving extra time to develop student-keynote interactions. What have your impressions been? Do you have any suggestions for changes for future workshops? Considering the format and length of the lectures (45 mins + 15 questions), I think that 30 mins with the keynotes presenters was sufficient. However, there are around 40-50 other student attendees so perhaps the option to write some anonymous questions to help find consensus within the broader group’s needs could be incorporated. This would also help achieve a more overview style session, which cannot be covered in the lectures. – What are your plans for after the PhD – is the Brexit process seriously weighing into your decision making? I am definitely now more open to considering the idea of moving outside the UK. In any case, with time I have felt more integrated with the geodynamics community, and have a broader picture of who else is also out there and what the cutting-edge ideas are. – What are your takeaway potatoes of wisdom from the meeting? Dave Stegman’s comment – “Don’t always believe what you read” has stuck with me. It is important to be reminded of this fact! Science is only the best description at that time, and also considering the current state of pressure to publish, it is easy loose this perspective. It is also nice to be at a smaller, manageable conference with other researchers doing similar things. It is a chance to meet and talk to those beyond the home institute and I feel more up-to-date with what others are up to. 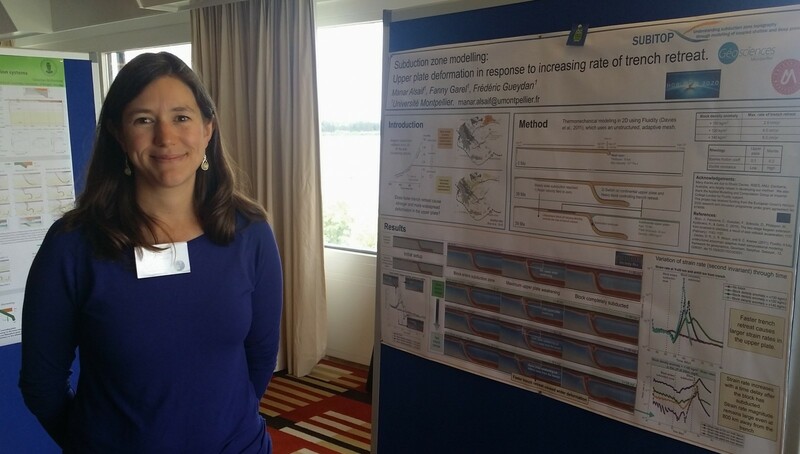 Fanny is a lecturer at Montpellier, and was an invited keynote presenter from the “Subduction and mantle flow modelling” session. Nethermod is her third workshop of this series. – Your presentation built upon work from your earlier paper (Garel et al., 2014) that has had quite a reception in the community. Can you please summarize the talk for us? My presentation was on numerical models that (re)produce the seismically imaged slab morphologies by varying different parameters and understanding the physical controls (e.g., slab sinking and bending). – From your perspective as a keynote speaker, how did the daily student question session go? Half an hour was perhaps slightly too short. The session is a key opportunity to open the discussion to more of the limitations and assumptions of the model. Students can ask more about the basics which you cannot fit into a presentation. Teaching is not just presenting, and vice versa. It is also helpful for speakers in terms of feedback for their own presentations! – What are some of the biggest and outstanding questions in the modelling community? Understanding when present-day subduction zones initiated, is one. Exploring a self-consistent interaction between single subduction zone specific-scales and global scales, both spatially and temporally, is still outstanding. – Any tips or suggestions for ECS researchers at the end of the thesis and thinking of whether to continue for a postdoc? You are already experts of your PhD subject, so keep your options open and try to change topic or your approach for a postdoc. There are plenty of different scales in geodynamics to explore, and perhaps it is best to change tools rather than objects. Consider your longer term view too and what the hot topics are that will lead to new opportunities in the next ca. 5 years. There is always the requirement for simple models to help understand the Earth. Models can have lots of complexity but we can lack a fundamental and first-order understanding of problems – including the physics and relevance of feedbacks e.g. the Marianas trench, and surface and deep dynamics. The generation and modelling of melt was also discussed, including the different ways of approaching it, and the links chemical evolution and dynamic evolution in a self-consistent manner. 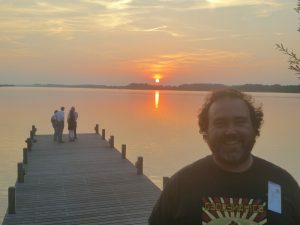 Dave is an Associate Professor of Geophysics and was a keynote speaker within the “Global modelling of Early and recent Earth” theme. – This is the 15th time it has been run – how many conferences within the series have you attended? My first in the series was in 2001 as a grad student and I have missed two of them since then. Some of the fellow students I met there the first time are here this week, so there is a real community building aspect to this meeting series and it is really important for the fabric of the community. 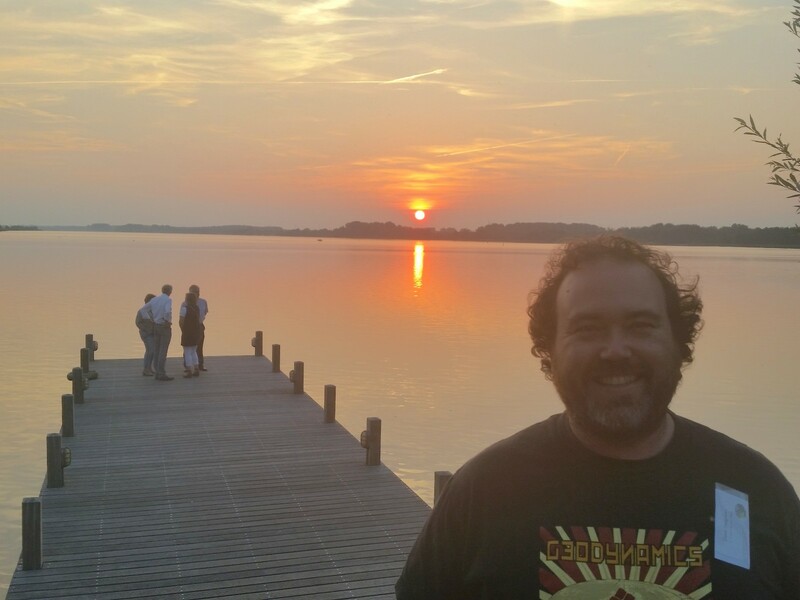 – How has it evolved since your first conference? The format similar is pretty similar and has become increasingly student focused. The attendance of a high proportion of students makes the meeting fresh and dynamic. – Can you summarize your presentation from earlier this week? The take home message of my presentation was to shift our mindset in order to allow for scenarios that permit a molten lower mantle and a magnetic field in places outside the core. It was provocative, sure, but ensured a healthy scientific discussion. – Origins of the geodynamo and core formation is a shift from your earlier work. Can you comment on the interdisciplinary aspects of modelling on vastly different temporal and spatial scales? This work really integrates geo- and paleo-magnetism, geodynamics and mineral physics, which really inform each other. Collaboration is required to progress. – The “Geodynamics Liberation Front” was a big success and you are rolling out a new geodynamics themed t-shirt. Can you tell us more? It will come in different sizes. The first was wildly popular – some more community themed fabric. Email me if you are interested in knowing more, else I’ll be bringing a suitcase full to AGU. – What are some of the biggest or outstanding questions in the modelling community generally? Those regarding Earth’s evolution and it’s entire history. The roadmap that makes most sense to me is to firstly calibrate our models of plate tectonics to present-day or recent timescales before going back in time, or to exoplanets. 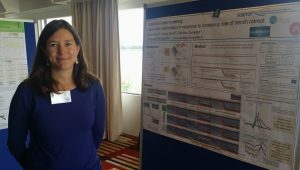 – As a non-EU based researcher, do you have many active collaborations with researchers back on this side of the Atlantic? Science is an international and you need to follow problems wherever they take you. Our community is really open to collaborations and in-person opportunities are important; they add much more value to Skype level meetings. 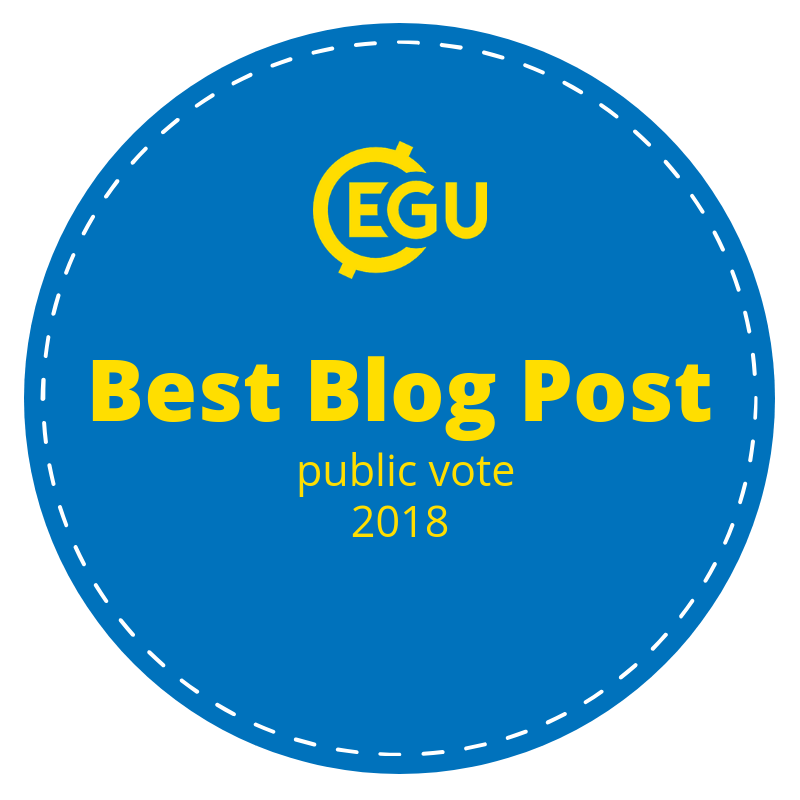 – Any tips for the next generation of ECS members of the geodynamics community, or those PhD students not sure whether to transition to postdoc? Don’t underestimate yourself. The skills required to accomplish a PhD are valued in many settings… persistence, attention to detail, the ability to think at different levels, time management. Students often don’t realize they have these abilities and they are a starting point for many paths. – Finally, what are your takeaway potatoes of wisdom from the meeting? The informality of the venue and meeting format enables everyone to expand from their comfort zone. This is critical for learning as you cannot be inhibited to ask questions and start discussions. The financial support to bring so many students to the meeting really tips the scales… when students and ECSs are the dominant force they do not feel intimidated to make the most of it. Thanks Dave, Fanny, and Kiran for your time! Today, Ági Király, postdoc at CEED (Centre for Earth Evolution and Dynamics) at the University of Oslo, Norway, is sharing her experience of NetherMod. After the wine tasting and karaoke party of yesterday evening, this morning’s keynote speakers had quite a difficult job to shake up the sleepy audience. Dave Stegman even dropped in a promise of a free beer for the most awake student (won by René Gassmöller, cheers!). But what really helped to wake up our little community was the cutting edge science that Dave and later Fanny Garel presented. Dave shared some new modelling results about early earth dynamics, showing the necessity of having a liquid lower mantle to reproduce the Archaeans strong magnetic field. Fanny Garel then showed us results on subduction modelling, reminding us again that “every model is wrong but some are useful”. In the afternoon Yury Podladchikov first talked about how to solve ductile strain localization and porous fluid channelling due to thermo- and hydro-mechanical coupling using parallel computations. It was followed by the talk of Manuele Faccenda showing results of combined geodynamics and seismological modelling to calculate olivine lpo and sks anisotropy in subduction systems. Manuele drew our attention to the artifacts on seismic tomographic models, which can be present due to the mantle anisotropy and the way earthquakes sample the Earth’s interior. And now about my favourite part in these meetings! A. K. A. why should students always come to meetings and workshops like this. First of all, it’s a relatively small/medium sized meeting, where everyone is staying, eating, drinking, laughing, and brainstorming together all week. So, young scientists have plenty of possibilities to meet fellow young and senior scientists, and do some serious networking. 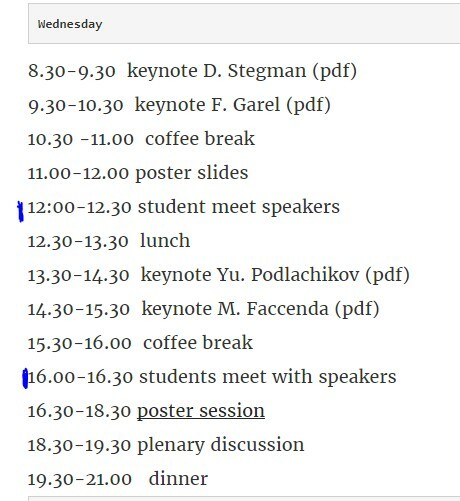 Furthermore, every day we have a half an hour long session where students meet with the keynote speakers during which students and early career researchers have the opportunity to ask questions and discuss with the keynote speakers of the day, without the judging eyes of the other senior participants. This is the place and time where we can ask the seniors to clarify things we didn’t understand, but also to get some more insight into where science is going; what we have to keep always in mind; and what are the biggest challenges in our community. While in the plenary discussion students usually don’t speak up, during this session they can challenge the seniors and exchange ideas. A typical day at NetherMod. Note the discussions dedicated to students! 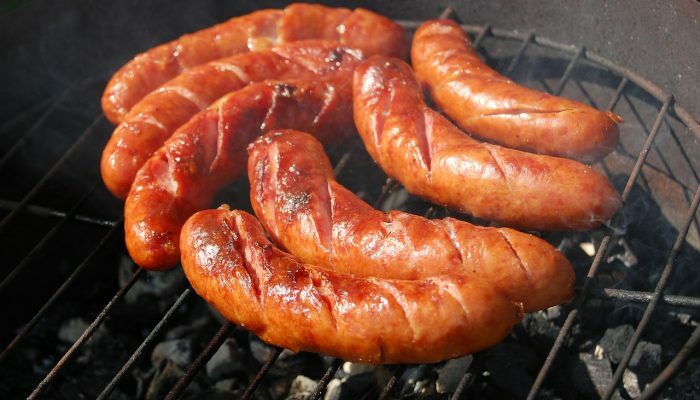 ~10,000 km bridgmanite sausages. Obviously. 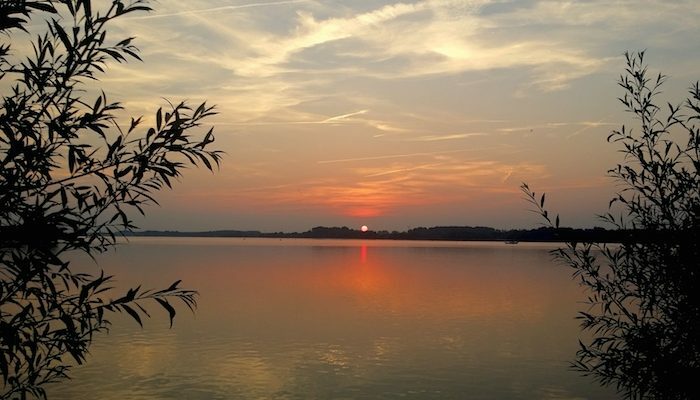 The third day of NetherMod promised to be a great day full of science, until it turned into a great day full of fun activities, such as windsurfing, wine tasting, and karaoke, thanks to the Dutch weather. This meant that only the morning was filled with science, which has already been summarised expertly in our previous post. What then, can this post add, I hear you thinking..? Well, let’s start with saying that the cooking theme is still going strong here on NetherMod 2017: John Herlund discussed the BEAMS (bridgmanite enriched ancient mantle structures) hypothesis from Ballmer et al., 2017 and ended up referring to the bridgmanite blobs as ~10,000 km sausages during the student discussion. Just let that sink in for a moment… So, now in addition to the delicious potatoes we discussed earlier, we have a nice plate of sausages. We still have two days to go, so maybe we will have a full (Dutch?) meal by the end of the conference. Who knows? Besides that, we can report a scoop from one of our very anonymous reporters (Laetitia Le Pourhiet): the reason Wim Spakman did not attend the Monday morning talks on rifting processes was not because he was sick, but actually because he was ‘sick’ of rifting processes, as he is a subduction man through and through! However, no definite proof has been provided so far, so be aware that this might be fake news. The world is neither continuous nor discontinuous. The perception of continuity or discontinuity depends on the level of observation. With that inspirational quote in mind, I hope you are ready for yet another science day! PS: Of course, we can’t forget Thorsten Becker’s excellent talk on subduction dynamics, but he didn’t make any obvious food references, so how am I supposed to include his talk in these secret summaries? 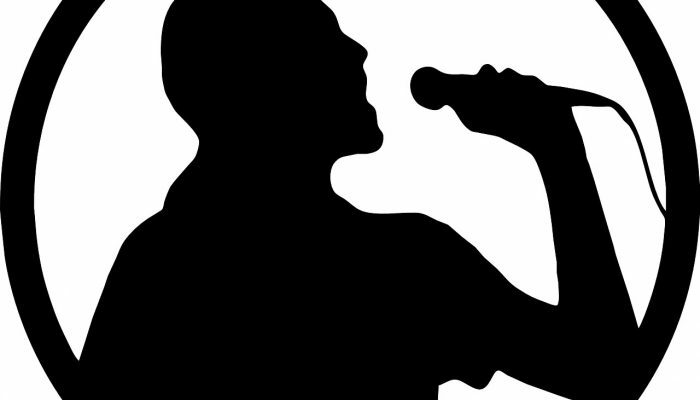 NetherMod Day 3 – Karaoke fun! 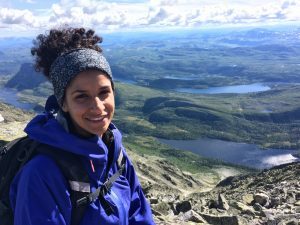 Reporting live from the NetherMod karaoke bar, Manar Alsaif, PhD student at Université Montpellier, part of the Subitop ITN, summarises her experience with geodynamical karaoke (also see this post on the relationship between the two). Day 3 of NetherMod sizzled in a high of 29 °C, which meant the free afternoon just had to be that day. Of course, the day of the free afternoon had to round up with wine tasting and karaoke after dinner. How convenient that the wine tasting preceded the karaoke, because karaoke needs quite a bit of lubrication! It started off with a few brave, surprisingly sober souls chiming their way through the Beatles and the Eagles and the like. As more wine poured into the glasses, more people poured into the karaoke room. A group danced their way through the YMCA, everyone managed to join into a Japanese tune (TRAIN TRAIN! ), and even some Nirvana found a couple of grungy throats. The range was impressive, not least some of the gentlemen’s soprano worthy falsettos. All in all, an excellent break well earned after an intensely informative day and a half.